Here are some costumes that unless you are missing a leg you will never be able to a achieve the full splendor of. Over the past few years I have searched for Halloween costumes that embrace my special attributes. 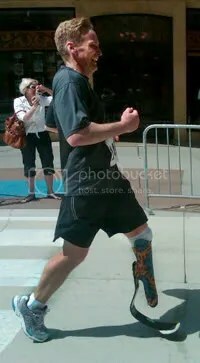 The first year was easy, all amputees need to be the notorious “Peg Leg Pirate”. Mine was created with the a homemade peg leg made with a black plastic sprinkler hose and cap. (not recommended.. Ouch) The next costume was inspired by Disney’s “Brave”. King Fergus who lost his leg to an evil bear. Last but not least, this year I dressed up like the Hershel character. Thank goodness for Walking Dead for creating an amputee in this last years season. 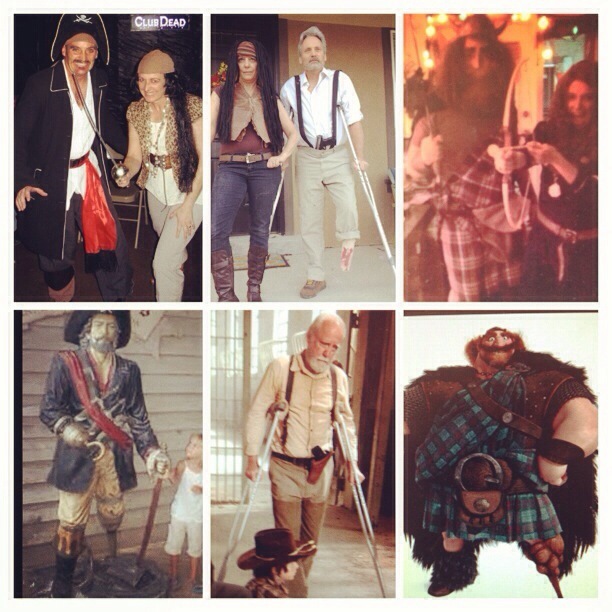 There are a limited supply of one legged Halloween ideas. 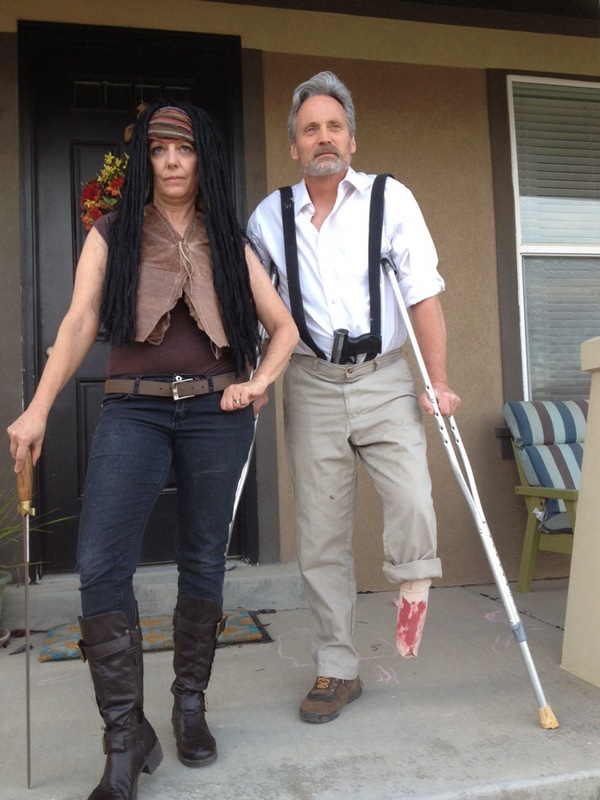 Not sure what next year will hold…..
Posted in Amputee Costume, MarathonsTagged amputee costumes, amputee halloween, hersahall, king fergus amputee, one legged costumes, peg leg pirate amputee, Tim Hurst, walking dead hershallBookmark the permalink.